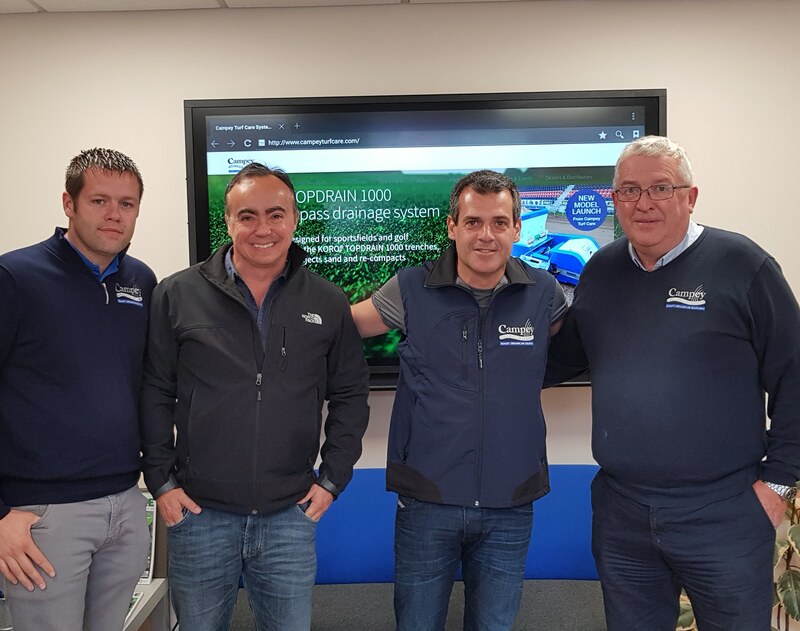 Campey Turf Care Systems has expanded its international dealership network into South America with the appointment of two new dealers. The Macclesfield based company already has an impressive network of dealers across the globe and the addition of C4 Turf Care and World Sports further strengthens their presence in that area of the world while giving customers in the region direct access to a range of Campey products. C4 Turf Care, operated by Dan Manning, who has 20 years’ experience in the sustainable turf management industry, will cover Chile, Argentina, Paraguay, Uruguay and Columbia and have already taken delivery of a Koro FIELD TOPMAKER 1.6 with Universe Rotor and a ShockWave 155 for the Argentinian market. World Sports has 22 years’ experience in the Brazilian market offering the best solutions available in design, construction maintenance and field restoration. The company aims to offer the best technology in Brazil and has recently seen the machines in use during a visit to England with Campey. The visit included trips to Tottenham Hotspur’s Enfield Training Centre, Arsenal FC’s London Colney Training Ground, Twickenham, and a tour of Liverpool FC. Campey Product Specialist, Ben Taylor, will be the point of contact for South America and will work with both companies – who will be distributing Koro, Imants and Raycam products – to ensure South American customers receive the outstanding service Campey customers have come to expect all over the world. Photo: (L to R) Lee Morgado – Campey Turf Care, Roberto Gomide – World Sports, Andre Amaral – World Sports, and Richard Campey – Campey Turf Care.